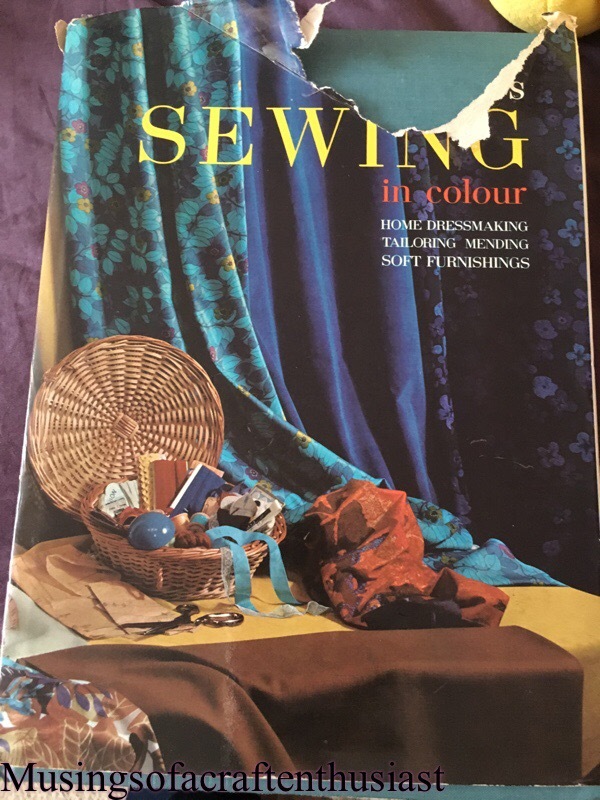 Hi, this week my friend handed me a sewing book, McCalls Sewing in colour copyrighted 1963, it is quite a large book, it also gives you a lot of handy hints and tips. 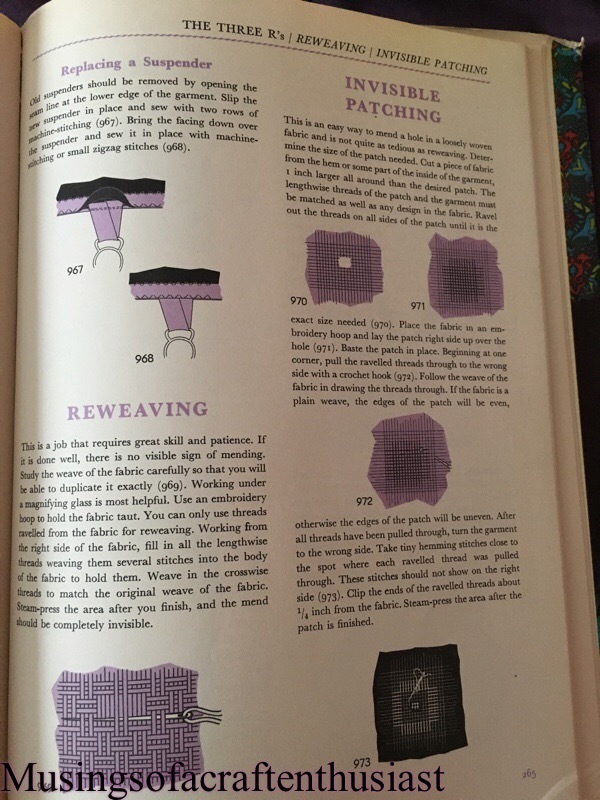 Considering that it is 50 odd years old, it isn’t in that bad condition, apart from the cover the pages are very good with very little foxing. 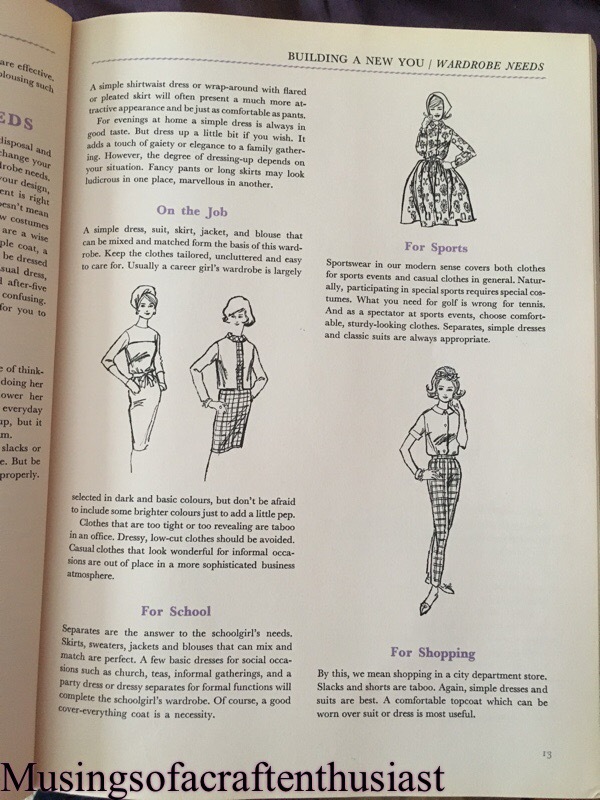 It starts off with handy suggestions on making you look taller and or thinner. 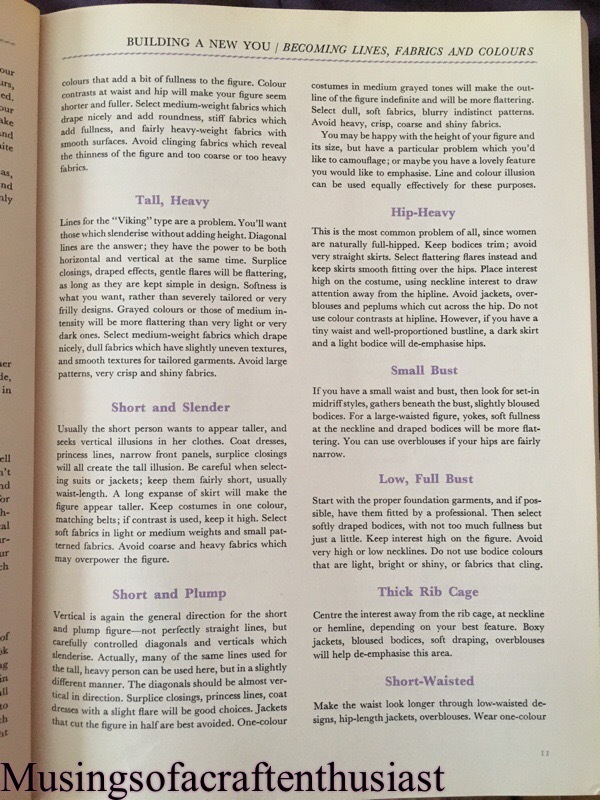 And obviously there is the tips for outfit as you what you are planning to do. 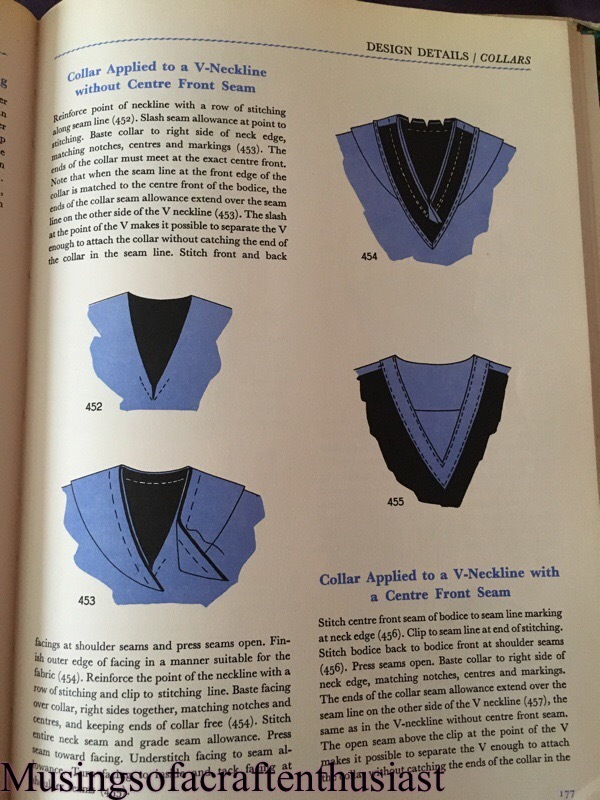 As well as all these hints it tells you how to make several collars. 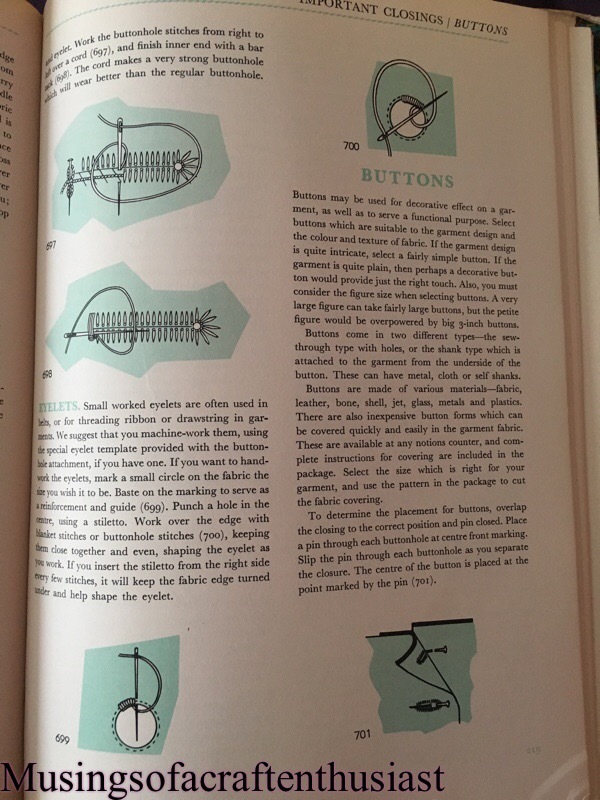 This book is quite interesting, and covers quite a lot of information, I feel that it would be very helpful on making some of my 1960 patterns. 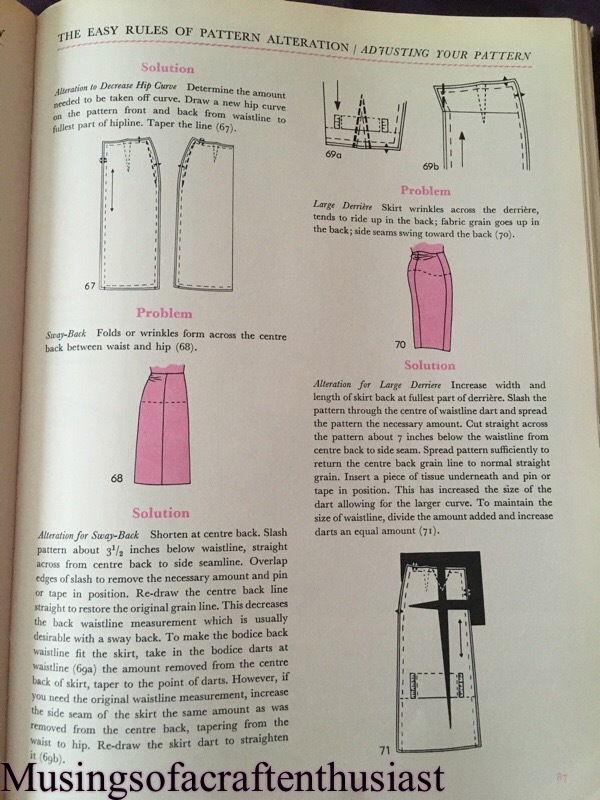 Posted on 16/04/2016, in vintage dress making and tagged sering books, vintage dressmaking. Bookmark the permalink. 2 Comments. 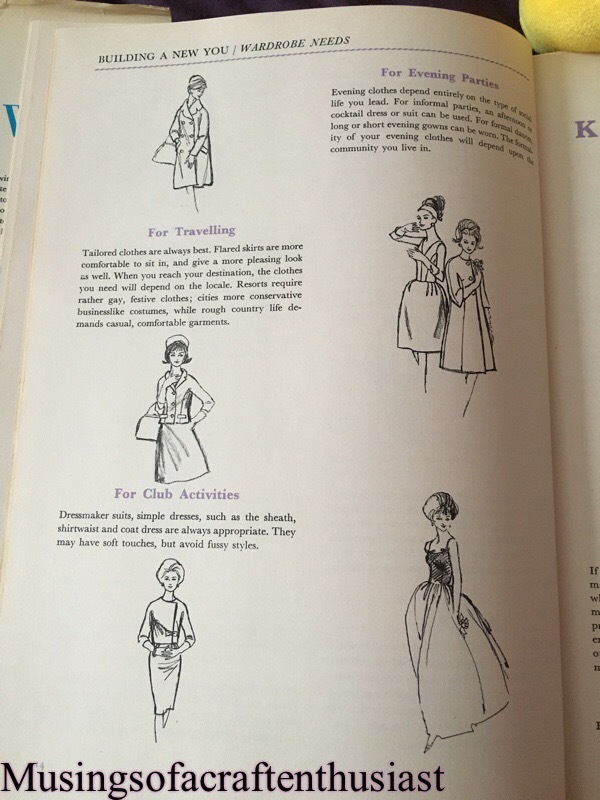 I love the idea of putting on a suit to go to Debenhams but perhaps they were thinking of somewhere a bit posher – like Fortnum and Mason. 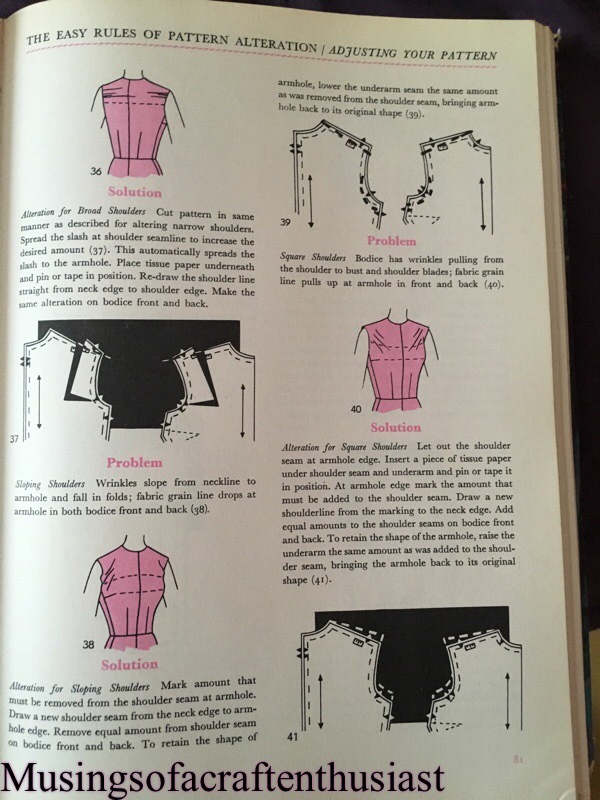 Looks like a really useful book for all the technical aspects of alterations etc. 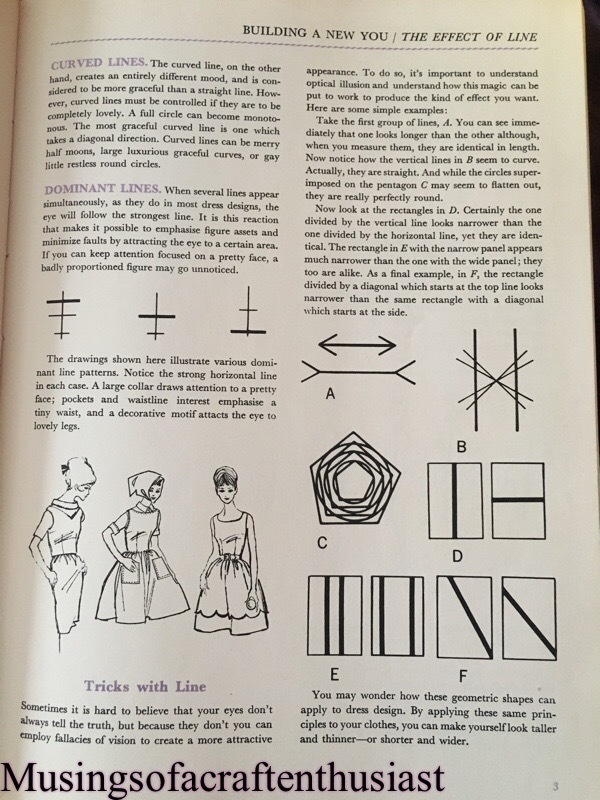 I love those illustrations! Thanks for sharing!